Built in 1997, Signature Consultants was established as a staffing company with a singular focus on IT, and today, they're the 14th largest IT staffing firm in the country. 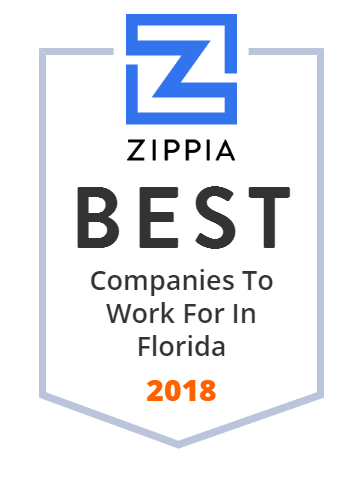 Located in Fort Lauderdale, Florida, this innovative company has expanded their operations across the continental US , offering IT talent acquisition, IT staffing and managed service provider services. Cross Country Healthcare is a national leader in providing healthcare staffing and workforce solutions. Moss is one of the most transparent, respected, and sought-after companies in the US for their honest, positive, and intelligent approach and passion for customer satisfaction. This construction firm provides quality construction management, general contracting, design-build and public-private partnerships services across the US. Headquartered in Fort Lauderdale, Florida, Moss has offices in Hawai, California, and Texas too. As of August 1, 2018, Broad and Cassel has combined with Nelson Mullins Riley & Scarborough LLP, doing business in Florida as Nelson Mullins Broad and Cassel. The firm's 750 legal and business professionals provide advice and counsel to corporate and individual clients in a wide variety of areas, including: litigation, corporate, banking, e-discovery, economic development, securities, finance, tax, estate planning, intellectual property, governmental relations. Etc. Headquartered in Boca Raton, Florida, the firm also has 25 offices in 11 states and Washington, DC. TopBuild is the leading installer and distributor of insulation products to the United States construction industry, based on revenue. Kforce is a professional staffing and solutions firm specializing in the areas of technology and finance & accounting services. The company has a network of more than 50 offices and two national recruiting centers. Its team of 2,000 experts across the United States helps place a number of candidates into careers, including permanent, temp to perm and temporary positions. Kforce Inc. was founded in 1962 and is headquartered in Tampa, Florida. Founded in 1979, MEDNAX, Inc. partners with hospitals, health systems and health care facilities to offer clinical services spanning the continuum of care as well as revenue cycle management, patient engagement and perioperative improvement consulting solutions. Headquartered in Fort Lauderdale, Florida, this physician-led health care organization focuses on neonatal, anesthesia, maternal-fetal and pediatric physician subspecialty services in all 50 states and Puerto Rico. Oxbow Carbon LLC is an industry leader in the marketing and production of fuel grade and calcined petroleum coke, sulphur, coal and other resources. Its products are used in power generation, home construction, cement, aluminum and steel manufacturing, agriculture and food production, water and air filtration systems, and other industries. The Oxbow Group is made up of more than two dozen companies that employ over 1200 employees worldwide. The company was founded in 1983 in West Palm Beach, FL. Ladenburg Thalmann Financial Services, Inc., was established in 1876 and has since become a leader in independent broker dealers and advisory firms. LTCO is also the sixth oldest member of the New York Stock Exhange. Akerman, rated one of the best forward-thinking law firms by the Financial Times, has over 700 lawyers to help innovate companies globally. No wonder it is consistently ranked in the top 100 law firms in the US. Provides Computer Related Consulting. Operates Business Services, Specializing In Personal Investigation Services. Provides Legal Services. Engaged In Commercial Economic, Sociological Or EducationAl Research. Provides Management Services, Specializing In Business Management And Administrative Management. Power Design is one of the top electrical contractors in the United States that operates in more than 18 states. It offers design-build, preconstruction, construction, and engineering services; fire and life safety, telecom, audio, visual, security, lighting control, and distributed antenna systems, and other services. Power Design serves to both residential and commercial sectors. Power Design Inc. was founded in 1989 and is based in St. Petersburg, Florida. Physician Recruitment Firms 888-647-5005 National Health Partners is an established Physician Recruiting and Staffing company. Est. 1997. Visit us today! RS&H, Inc. is a facilities and infrastructure consulting firm in the United States. HealthPlan Services (HPS), is the largest independent provider of sales, benefits administration, retention and technology solutions. It services customers in the insurance and managed care industries. The company provides carriers with Go-To-Exchange, deep transaction visibility, SalesLink, ServiceLink, renewal plan options for on and off exchange members, etc. The company was founded in 1970 and is headquartered in Tampa, Florida. BioReference is at the center of progress for patient care, providing laboratory testing and clinical diagnostic services to physicians, hospitals, clinics and more. The Millennium Group provides clients with an array of investigative services. The company has a team of carefully selected former career intelligence officers that received extensive training in the craft of intelligence while with the US Government. These specialists conduct investigations, gather intelligence (ie , information), and troubleshoot difficult and sensitive problems. The Millennium Group was established in 1997 in West Palm Beach, FL. NV5, founded in 1947, is an engineering and consulting services company that specializes in 5 areas: Construction Quality Assurance; Infrastructure; Energy; Program Management; and Environmental. More than 2,000 employees including engineers, architects, construction/program managers, and environmental professionals in 100 offices worldwide help clients plan, design, build, test, certify, and operate projects that improve lives in our communities. Its clients come from various markets such as: commercial and residential, education, hospitality and leisure, healthcare, government, etc. NV5 is headquarted in Hollywood, FL. Orlando, located in the geographic center of Florida, is one of the fastest growing cities in the US It offers attractions for kids of all ages, including Sea World, Epcot, Disney World and other popular theme parks. The city's council is made of the mayor and six city commissioners. City of Orlando, founded in 1885, operates through some 50 departments to serve its more than 250,000 residents. Orlando aims to become the most sustainable city in the nation, increase quality of life and end homelessness. As the largest legal staffing company in the country, Special Counsel provides our candidates with challenging assignments and rewarding career opportunities with leading clients nationwide. C. B. Smith Park is a public park located in Pembroke Pines, Florida. The park is 299 acres (1,210,000 m) in area and contains a water park known as "Paradise Cove," which is open seasonally. C. B. Smith Park offers many sporting activities including fishing, basketball, batting cages, miniature golf, as well as tennis and racquetball courts. The C.B Smith Park also has one area with the endangered Burrowing Owl. AVI-SPL is a multi-office provider of collaboration and audio video technologies, and managed AV services to businesses and organizations. Greenway Health, LLC is a privately owned vendor of health information technology including integrated electronic health record, practice management and revenue cycle management solutions. SNC-Lavalin's Atkins, founded in 1911, is a design, engineering and project management consultancy. It plans every aspect of its clients' projects, from cost and risk planning to impact assessments and stakeholder engagement activity, also designs intellectual capital such as management systems and business processes. The company employs approximately 50,000 people and has offices in over 50 countries. In 2017, Atkins was acquired by SNC-Lavalin. Client First Settlement Funding is a financial services company that buys and sells structured settlement payments and lottery winnings. The Kennedy Space Center Visitor Complex is the visitor center at NASA's Kennedy Space Center in Florida. Our nationwide disability insurance and personal injury lawyers have represented more than 20,000 disabled and injured people nationwide and throughout Florida since 1979. Free consultation now. The City of St. Petersburg is a city of opportunity where the sun shines on all who come to live, work and play. Their employees have the important and rewarding role of serving the City of St. Petersburg and its citizens, helping to make their City a premier destination to live or visit. The City of St. Petersburg is an innovative, creative and competitive community that honors their past while pursuing their future. Bernstein Chackman Liss is an AV rated, full-service civil litigation law firm. This reputable firm's clients include major insurance companies, self insureds and individuals with various legal needs. Bernstein Chackman Liss's primary objective is to provide efficient and effective legal services to its clients. It strives to secure the best possible legal outcome on each matter through successful representation in the courtroom or through fair settlement. Capital Funding Solutions Group, Inc.
GrayRobinson Attorneys at Law is a full-service corporate Florida Law Firm with 300 attorneys throughout 13 locations across the State of Florida. David Posnack JCC is open to everyone and offers an award-winning fitness center, preschool, after-school program and camps. We provide educational, social and recreational programs for all ages and interests. Florida corporate defense attorneys Hightower, Stratton, Novigrod & Kantor, Kantor serve business partners in Tampa Bay, Orlando, Palm Beach, and Miami. Lake Highland Preparatory School is a private, coeducational school in Orlando, Florida. NeuroInitiative: BioTech to Cure Disease | Find out how we're using neuro-simulation to help find a cure Parkinson's Disease. Nicomp International, Inc. offers career, corporate and government IT certification training and IT consulting services throughout the United States and Canada. BTL Engineering Services is a full service geotechnical engineering firm based in Tampa, Florida, servicing the Greater Tampa Bay Area. The company provides clients with the testing & information before they buy a lot or build their house and proper engineering and foundation services. The company has a fully certified testing lab for all its clients' engineering needs. Founded in 1976 in Tampa, Florida. As a full-service law firm, Cole, Scott & Kissane, P.A. is able to provide our clients with experienced counsel and services in numerous areas of the law. A multi-practice business law firm that represents real estate, corporate, entrepreneurial and individual clients locally, nationally and beyond our borders. Shutts & Bowen LLP is a business law firm. The firm offers legal advisory services in the areas of admiralty, antirust, business litigation, creditors rights and bankruptcy, insurance, intellectual property, labor and employment, corporate, financial services, Internet, immigration, public finance, taxation, mergers and acquisitions, securities, and real estate. Shutts & Bowen was founded in 1910 and is based in Miami, Florida with additional offices in Fort Lauderdale, West Palm Beach, Orlando, and Tallahassee, Florida; Amsterdam, The Netherlands; and London, United Kingdom. Simply Healthcare Plans - "Making a difference in people's lives"
An innovative real-estate development company enhancing life experiences through a network of unique commercial, residential, and hospitality properties. We craft insurance differently by using our experience, carrier relationships, and principled customer focus to deliver exceptional service and solutions. Keep the water on your property in its best condition with our aquatic management services. We offer comprehensive solutions for lake and pond maintenance. Hayes offers a comprehensive portfolio of IT products and services. Its services include consulting, managed network, wireless communication, security prevention, video conferencing, and disaster recovery. The company mostly focuses on education, commercial, and state and local governments. Hayes has a mission to help clients meet their information technology business requirements. Founded in 1986 in Tallahassee, FL. Volusia County Schools is the public school district for Volusia County, Florida. Founded in 1947, Hill Top Research is one of the world's leading clinical research services companies that provides clinical trial services in Dermatology Rx and efficacy/safety studies for the personal healthcare industry. Other industries it serves include consumer products, medical devices, cosmetics, pharmaceutical, chemical, etc. The company developed standards for antiperspirant testing, skin irritation scoring, dry skin studies, and odor evaluation. Based in Saint Petersburg, FL, with an additional office in Winnipeg, MB, Canada. Home to all your needs for transportation and distribution of numerous commodities including cement, chemicals, lumber and refrigerated and dry van goods. To apply our legal skills and experience in ways that enable our clients to define and achieve their goals. Florida Community Bank, also known as FCB, is a bank that operates in the US state of Florida. CompManagement is a leading provider of claims administration services for Ohio employers. The Fountain Group is based in Tampa, Florida. Harvard Maintenance, Inc. provides managed services in the United States. It offers janitorial services, such as cleaning for wellness, porter/matron services, carpet and floor care, ultrasonic blind care, window cleaning, and upholstery/fabric cleaning services. The company also provides day cleaning services; window cleaning, glass restoration, high and low-rise, interior, and exterior; maintenance and repair, restoration, upgrading, revolving doors, and swing doors; and engineering, maintenance and repairs, inspections and monitoring, and others. In addition, it offers restoration, refinishing, preservation, and repair; refrigeration cleaning, carpet extraction, emergency response, day porter, special events, and pantry maintenance; and post construction clean, extermination services, lighting, disinfection of high touch surfaces, and floor work. It serves commercial real estate, financial institutions, education, health care, and controlled environments sectors. Harvard Maintenance, Inc. was incorporated in 1961 and is based in Miami, Florida. The official twitter of The A.D. Morgan Corporation. General Contractors & Construction Managers in Tampa, FL, Leaders in Providing Construction Solutions. Avera & Smith has been specializing in personal injury cases for more than 60 years now. Headquartered Gainesville, Florida, Avera & Smith believes that their experience in personal injury law provides a significant advantage to their clients, and this trusted firm will continue to operate by providing caring, quality service from experienced and qualified attorneys, a remarkable support staff and state-of-the-art supporting technology. Klayman & Toskes, P.A. practices exclusively in securities arbitration and litigation, let us recover your investment losses from securities fraud.